Popular cross-dresser, Bobrisky, whose real name is Idris Okuneye,was arrested in Lekki, Lagos yesterday. 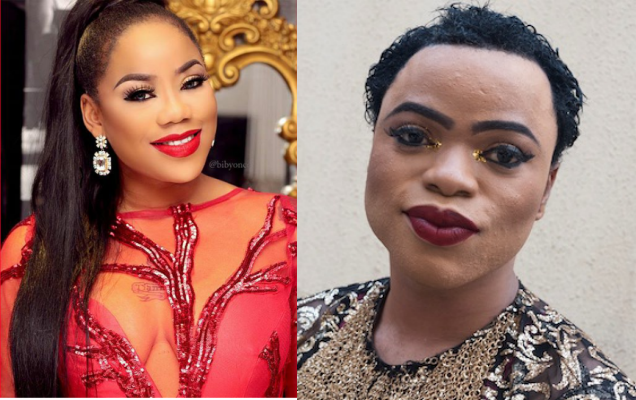 Bobrisky had recently slandered Toyin via his Snapchat, after she called him a riff-raff during an interview. It is also noteworthy to remember that Bobrisky has just openly declared that he is gay, this is a punishable offence in law in Nigeria. The real reason for his arrest is yet to be ascertained, but insiders reveal that Bobrisky will likely be transferred to Abuja, soon.